This ministry is a support group where individuals can find healing from the loss of a loved one. 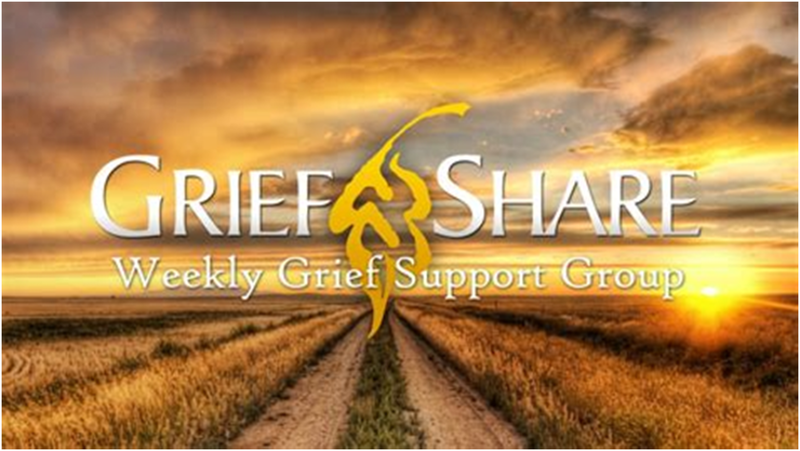 Grief Share focuses on spiritual solutions and cognitive strategies to ease the journey from ‘Mourning to Peace’. The group meets throughout the year on Thursday evenings from 7:00 p.m. to 8:30 p.m. There are three 13-week sessions and you may join our group at any time. Free childcare available by request. When we lose a loved one by death, we are wounded. Just as a wound does, we need to heal from within, to express our thoughts and feelings, even when they seemed crazy. Knowing this will not lessen your grief, but it may help your healing to begin. A support group is a safe haven where we can talk cry, share our anger, guilt, and fears with those who understand and care. Grief is like a wound, take time to heal. A support group is to the grieving like a healing salve is to a wound; it soothes and comfort us while we heal. This is a peer ministry, not a therapy group. This group is for you, so be comfortable. You are invited to share if you feel comfortable to do so. We ask that all respect CONFIDENTIALITY of our sharing.